Discussion in 'Picture Gallery' started by SandboxGeneral, Oct 30, 2014. 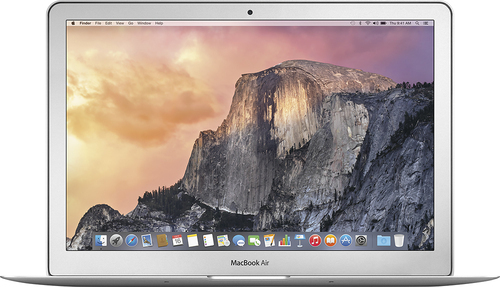 Since I ordered the 5K iMac to be my workhorse, I'm replacing my 17" MBP with something significantly lighter. kinghitech and Koodauw like this. I should say its lighter. Probably by half! Enjoy your new purchase. TechGuy848, kinghitech and iamadamsapple like this. Turnpike, Judy Terboss, CerebralX and 12 others like this. I'm looking to do something similar. But think I will hold onto my rMBP for the moment. I got PRK done about two years ago, for free, on the Army's dime. Also had it done about a year ago, my only regret is that I didn't do it much earlier! Yeah, it'll be a big difference in size and weight. I paid for faster shipping so that it'd get here safely before my trip to the opposite coast in the States. Should be much nicer to travel with. Arcade, kinghitech, LiveM and 1 other person like this. kinghitech and GoldenDust like this. awesome! Ive wanted to do it for a long time but I'm too scared. My vision isn't terrible but it would be nice to not have to wear glasses all the time. Herschel 'Retreat' backpack for law school. Since my 15" rMBP is pretty much the only thing I need to carry anymore as well as the odd handout for school (digital textbooks ftw) this is perfect. The laptop compartment is lined and holds it in place close against your back so it feels really balanced. There is a bigger opening for whatever else I need to carry. The straps are also padded so overall a very comfortable bag. Do it! It's totally worth it. A day after the surgery and everything is so much clearer. I keep forgetting i don't have contacts or glasses! It's great! My recovery will take 7 days initially, and then fully recovered in 2-3 months, but the doctor believes it will be much faster for me since i'm already at 75% healed. how was the actual procedure though ? I keep hearing its rough .. meaning anxiety wise. I can't even put contacts in lol. For me, I don't do surgical procedures well. With saying that, I was very anxious all throughout. The procedure put a lot of pressure on the eyeballs, and as such, left my left eye bruised with a couple big red splotches on the white of the eye. You can smell the laser burning the eye, which is a trip! Message me if you have anymore questions. I'm on the first full day after surgery and the improvement is by far amazing. Can't wait till it's fully healed! Getting my LG 34UMmonitor on Monday, decided that I may need better sounds, so ordered this. I don't need blaring sound just enough to playback some tv shows and some light music. Not too expensive and like the fact that it's bluetooth and fairly portable. So I can carry it with me when I stay at hotels and play music for my daugther. jazz1 and kinghitech like this. 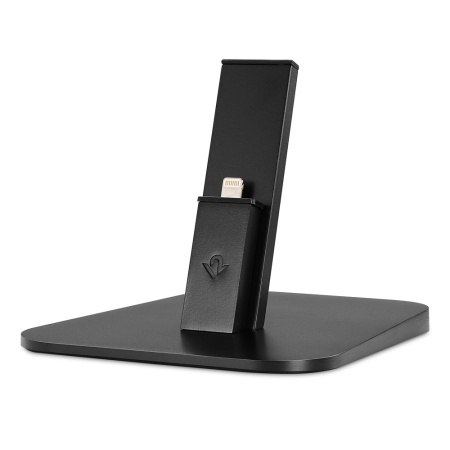 After two years with no dock for either my iPhone or iPad mini I decided to get a twelvesouth HiRise in black. kinghitech and mmomega like this.